The Hotel Telluride is the perfect lodging option for a Colorado mountain retreat, small group getaway, family reunion or wedding in the heart of the historic town of Telluride. Gather at The Hotel Telluride for your group’s annual ski club or group getaway and relax in our hotel’s comfortable accommodationsjust minutes away from skiing. Telluride charm. Boutique setting. 8,750 feet. When anything less than perfection simply won’t do, there is no better place to host your wedding than at The Hotel Telluride. If you have visions of creating the most intimate and personalized stay for you and your guests, The Hotel Telluride and staff are ready to attend to your every need. Let us put the perfect touch of charm on Telluride, Colorado wedding accommodations for you and your guests. While destination weddings can be rewarding and memorable in the end, planning them can be a challenge. 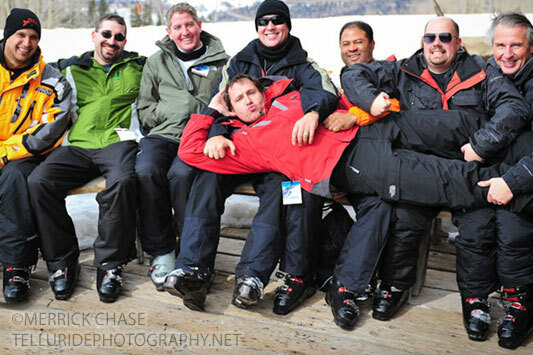 Below is a list of friends of The Hotel Telluride, we hope they become friends of yours too! If you are considering having your family reunion in Telluride, you’re already on track to ensure it will be a memorable time together. Each member of the family will be delighted at the natural beauty of this area. There is something for everyone here. Family reunions are special celebrations that deserve an extra special destination. 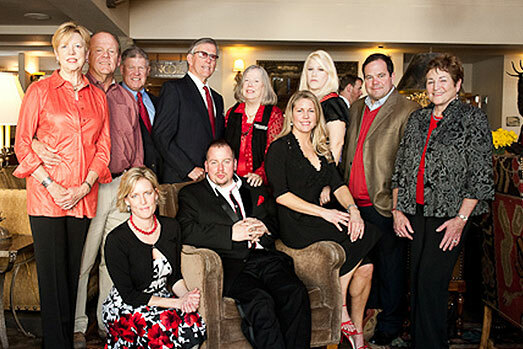 The Hotel Telluride, in spectacular Telluride, Colorado specializes in making your family reunion memorable. To begin planning your group event, reunion or retreat in Colorado, call our Vacation Planners at 866-468-3501 or book online now. Ski Clubs can find everything they need at The Hotel Telluride and the destination of Telluride, Colorado. The Hotel Telluride offers the best ski lodging accommodation options in Telluride, as well as the finest services, amenities and hospitality in the area. An alpine paradise, Telluride, Colorado stands out for its incredible natural beauty. The region is nestled in the San Juan Mountains and features four 14,000-foot peaks, the greatest concentration of “fourteeners” in North America. Ski Clubs will enjoy Telluride’s central location within southwestern Colorado. 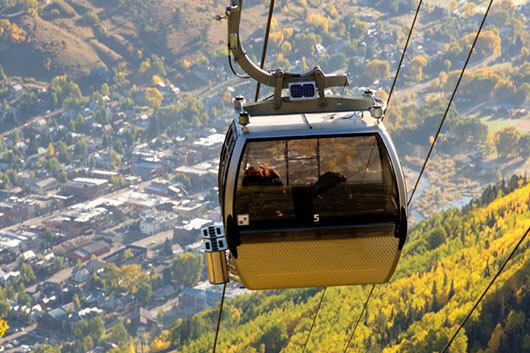 With air service into Telluride, Montrose, and Durango, accessibility is ample and convenient. Easy travel from Denver and the Four Corners Region makes Telluride the perfect ski vacation destination for Ski Clubs. Telluride Ski Resort, open since 1972, features some of the finest terrain in the country. During a ski season that runs from late November to early April, snow enthusiasts will find plenty of dry, deep powder with an average of over 300 inches of snowfall annually. We understand that business does not stop when you are on vacation, and while no one wants to work on vacation, sometimes we have to. Each room at The Hotel Telluride is conveniently equipped with a spacious work desk and two, 2-line telephones. The hotel’s business center provides a variety of printing, copying and mailing services for your convenience. 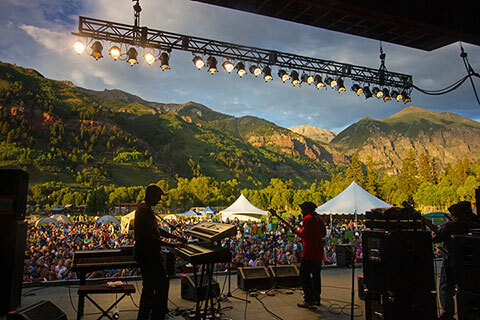 Celebrate the treasured times of your life in the beauty and majesty of Telluride, Colorado. 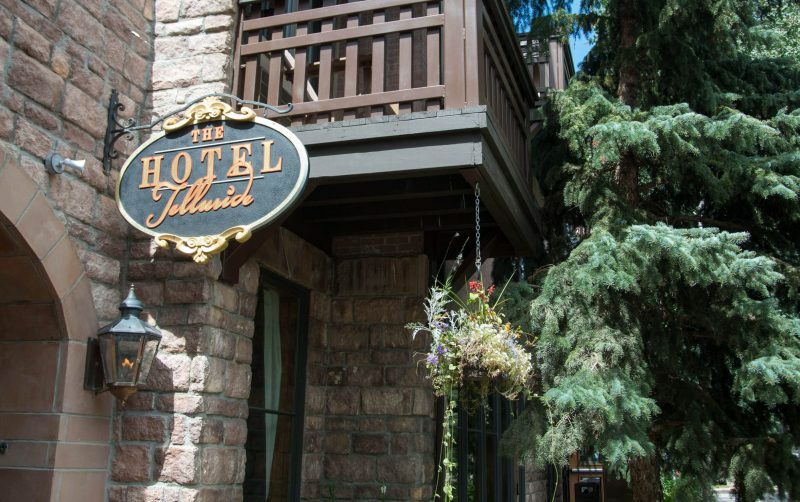 Memorable gatherings have long been a tradition in Telluride, which makes The Hotel Telluride the ideal place for your retreat or event in Colorado. 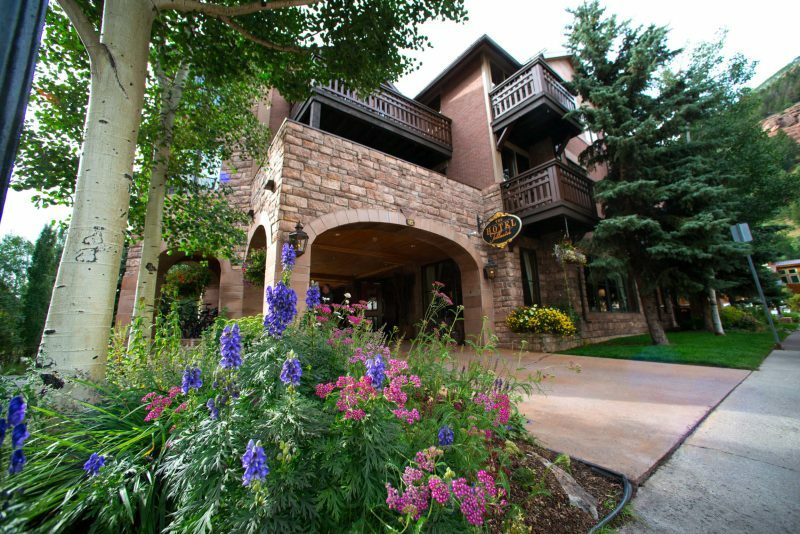 The Hotel Telluride offers a variety of spacious hotel accommodations ideal for family reunions and retreats in Colorado. 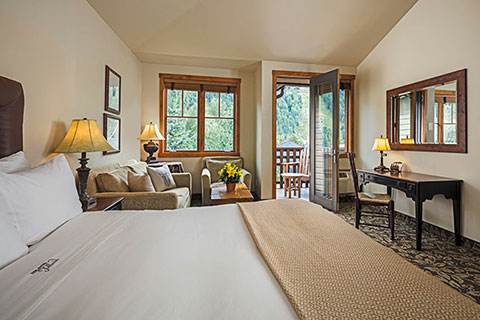 The Hotel Telluride features two magnificent hotel suites that are perfect for families, as they can be configured into two and three bedroom arrangements to accommodate larger groups. Oversized Select and Deluxe accommodations offer two “Incredible” double beds or one king, and are wonderfully comfortable and inviting. Your family will enjoy all of Telluride’s attractions and recreation; our knowledgeable and friendly staff can help your family with all of your planning needs.